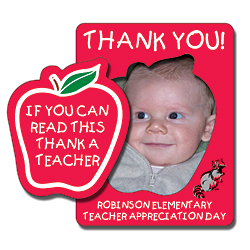 Buy this apple punch shaped magnet for added promotional results as this unique shape will attract more eyes than ever. 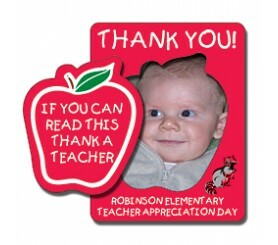 This magnet can be customized with any desired message and design. The display area of the magnet is 3.5x4.5, which can be suitably customized with school or university related information against the payment of $0.26. This magnet can be offered by schools as a fundraiser gift or as a brand token to students towards the end of academic year.